This BIG boy went home with Jennifer to meet their cat before making the adoption! This boy is 88 lbs. and growing. He did fine with the cat and Luna, their 12 yr old female greyhound. Bob took the photo so he's not pictured. 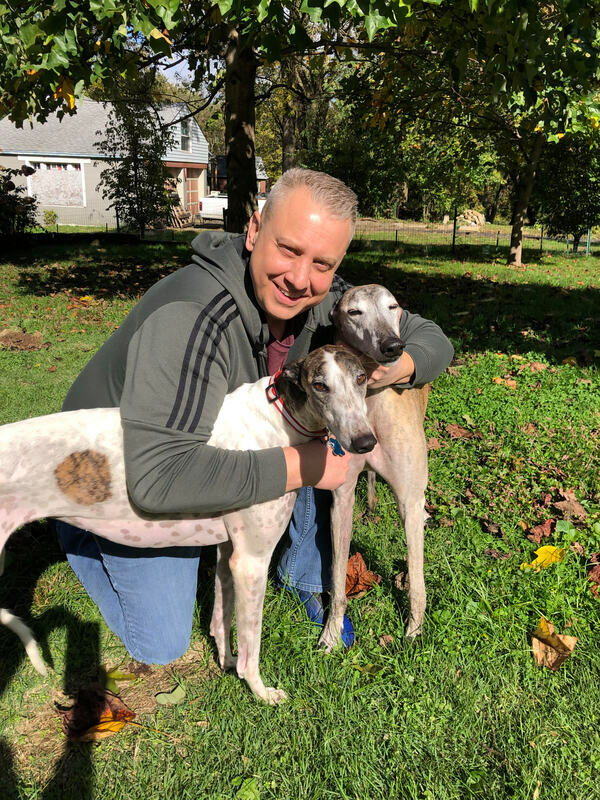 This family lives in Anderson and bought a house just for their two greyhounds, Rupert passed away not to long ago and Luna was extremely lonely. Big Al and her are already playing together and enjoying each other! !